Linux has made a very good progress with the GUI (Graphical User Interface). But the traditional UNIX environment is a command-line interface (CLI) where you type the commands in a terminal. Mostly you can manage to do things using the GUI but if you want to become a power user or make your Linux powerful you must use the command-line. There are many varieties of Linux, but almost all of them use similar commands that can be entered from a command-line interface terminal. You can also open a terminal by pressing CTRL+ALT+T keys. Now after opening the terminal let's get familiar with some commands. ls command gives you the list of all files in your directory. cd command allows you to change your working directory. For example to change into the root directory you need to type cd / in the terminal. To change to your home directory, use "cd" or "cd ~". cp command is useful to make a copy of a file. mv command will move a file to a different location or will rename a file. rm: Use this command to remove or delete a file in your directory. rmdir command will delete an empty directory. To delete a directory and all of its contents recursively, use rm -r instead. mkdir command will allow you to create directories. 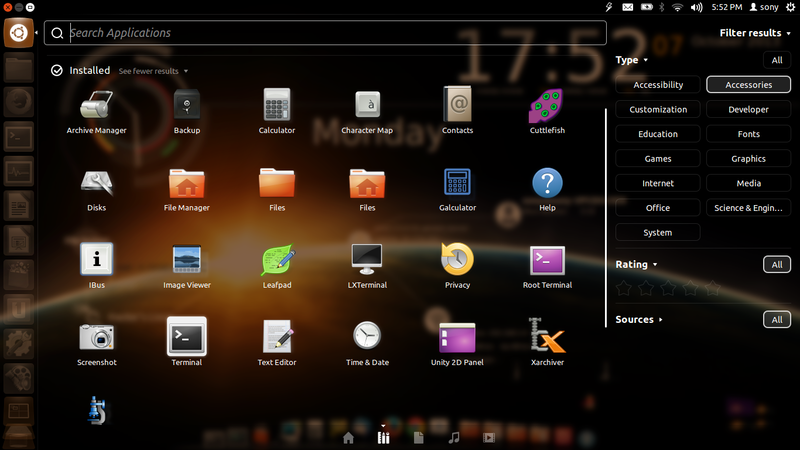 For example mkdir foo will create a folder named foo. man command will show you the manual page for a particular command. For example man mv will show the manual page of mv command. sudo command is used to perform file operations on files that the Root User would only be allowed to change. You must use the sudo command very carefully!